Canadians go to the polls on Monday, Oct. 19, to choose the country’s next federal government. Polls will be open for 12 hours in each time zone, but in our busy world, that doesn’t guarantee that everyone will find the time to vote. Fortunately, the law is on your side. 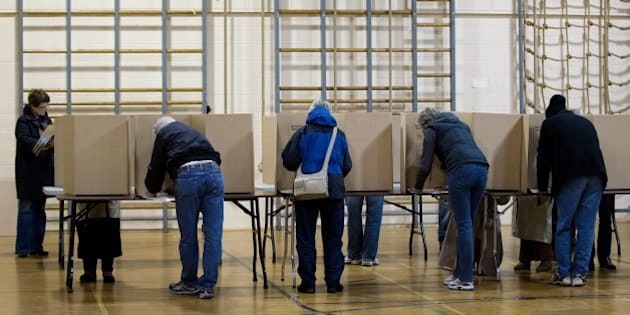 The Canada Elections Act requires employers to make sure that every employee has at least a three-hour block during the day when they can vote. Let’s say you live in the Pacific time zone (B.C. ), where polls are open from 7 a.m. to 7 p.m., and you work from 9 a.m. to 5 p.m. There isn’t a three-hour block at either the start or the end of your workday for you to vote. So your employer can let you come in late (at 10 a.m.) or leave early (at 4 p.m.), or give you three hours at some point during the day to go vote. Your employer has the right decide when to give you time off to vote. Your employer cannot deduct pay or impose a financial penalty if you vote. “An employee must be paid what he or she would have earned during the time allowed off for voting,” Elections Canada says. There are criminal penalties for employers who violate the Canada Elections Act. Refusing to give employees the minimum amount of time to vote, or docking employees’ pay, can lead to $2,000 in fines or up to three months’ imprisonment. Nfld. Time: 8:30 a.m. – 8:30 p.m.
Central Time: 8:30 a.m. – 8:30 p.m.
Mountain Time	: 7:30 a.m. – 7:30 p.m.